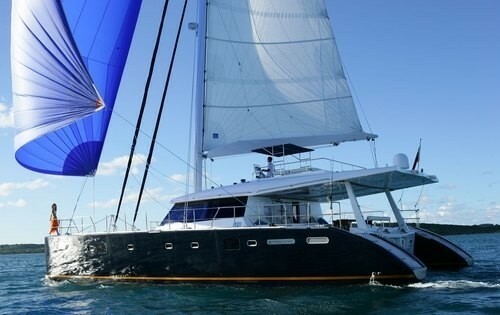 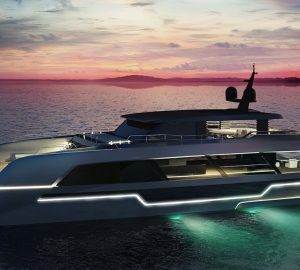 Luxury private catamaran Catsy, a brand new Sunreef built in 2008, will be available for charter in the British Virgin Islands of the Caribbean. 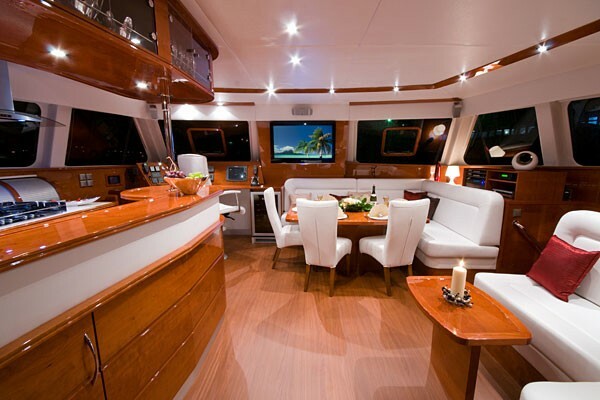 Her elegant classic design offers her guests plenty of room to relax in both indoor and outdoor areas. 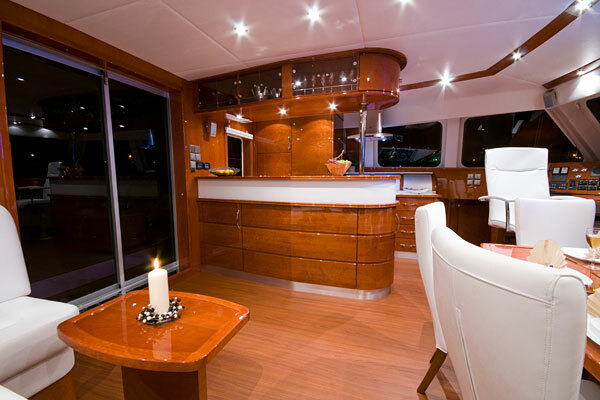 Finished in high glossy varnished American cherry wood and white leather upholstery her stunning interior is simple and uncluttered and invites guest to make themselves at home. 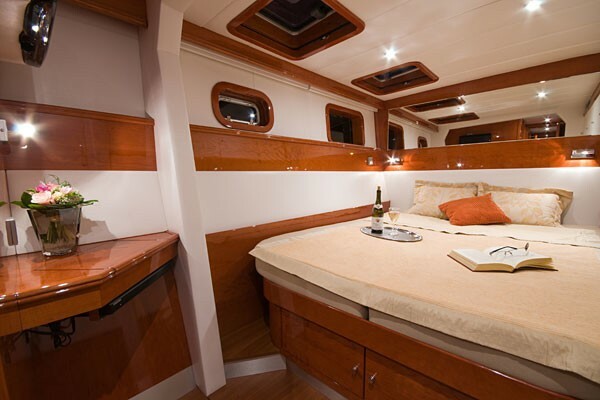 Catsy accommodates 8 guests comfortably in four private double cabins with ensuite bathrooms. 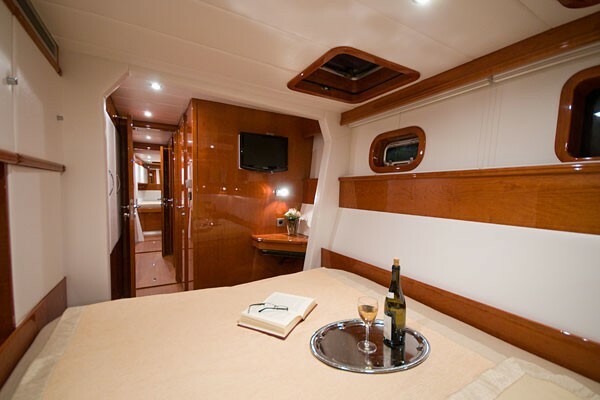 Each of the luxury cabins also features a 22 inch LCD and a DVD player. 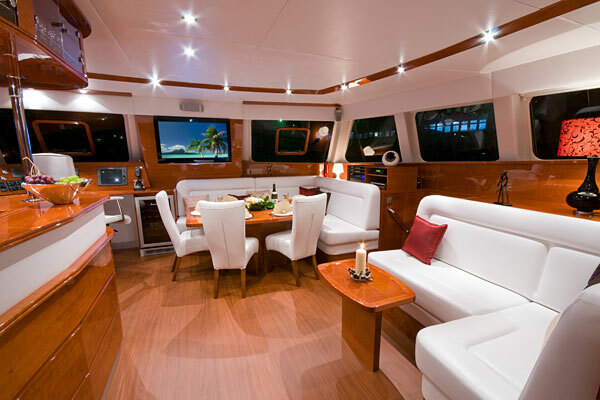 Her stunning saloon features a 40 inch LCD screen and high quality state of the art Harman Kardon home cinema system. 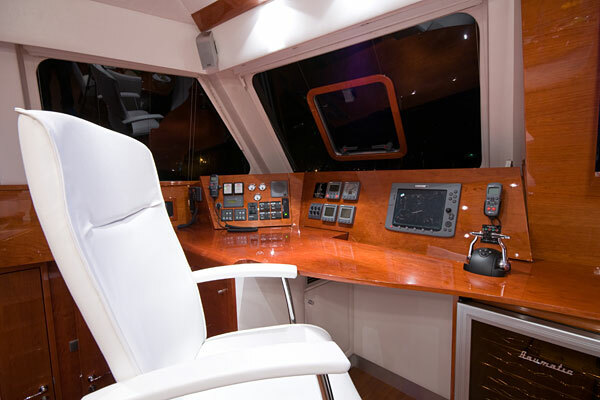 Satellite TV and a state of the art communication system will ensure that those that need to can stay in constant communication with the office or the home. 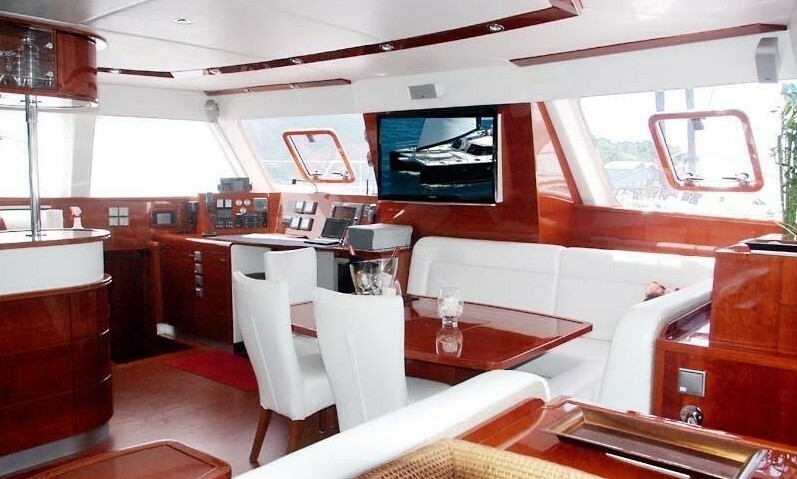 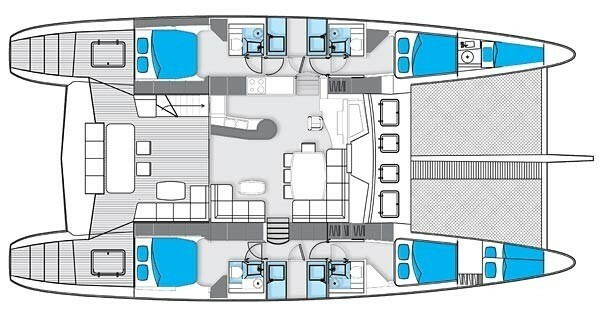 Catsy’s decks are ample and the design has made the most of her 62ft by adding a flybridge that opens up the cockpit area and gives the guest another deck to enjoy the sweeping views while under sail in complete comfort. Underwater lights are a feature that will delight guests at anchor each night. 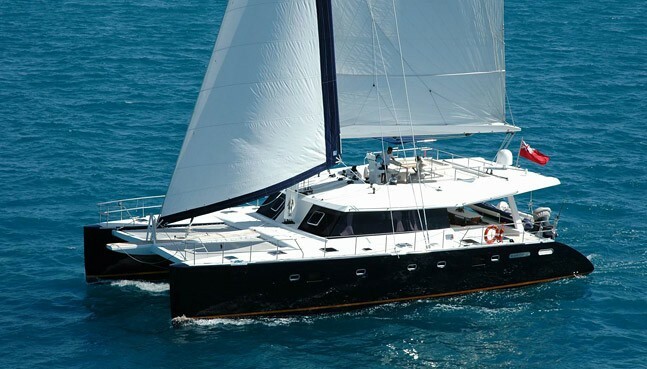 The professional crew on board Catsy year round will be on hand to ensure that everything runs smoothly throughout the charter. 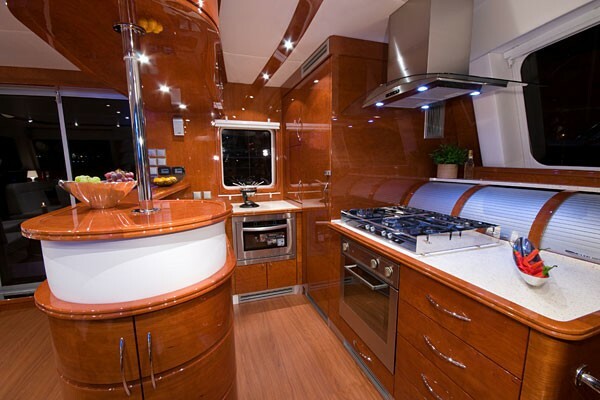 Your personal chef will delight you with tasty gourmet meals prepared with the finest local ingredients in Catsy’s state of the art Galley. 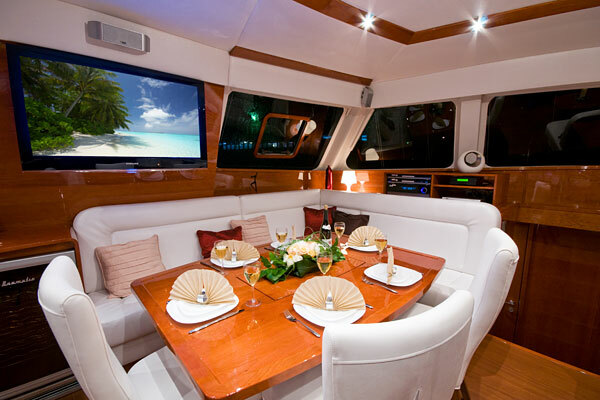 Sit back relax and let your professional crew guide you through your Caribbean vacation in style on board the beautiful luxury Catamaran Catsy. 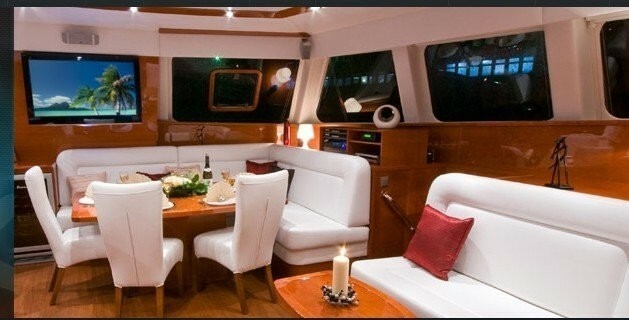 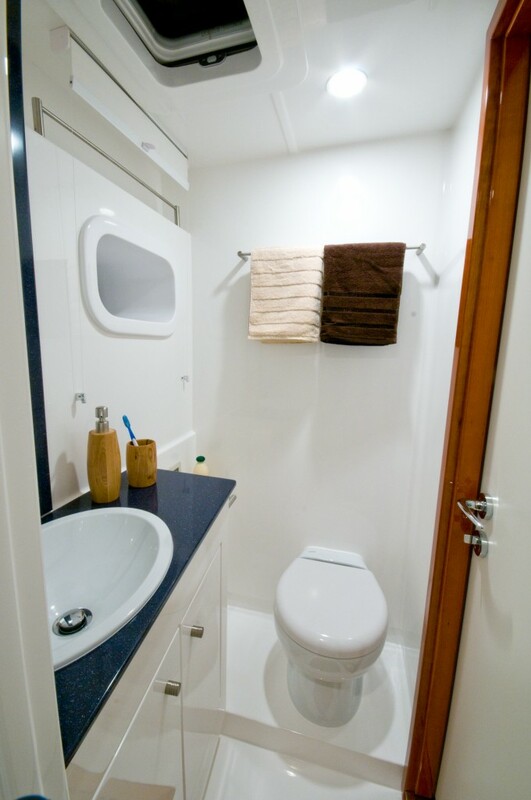 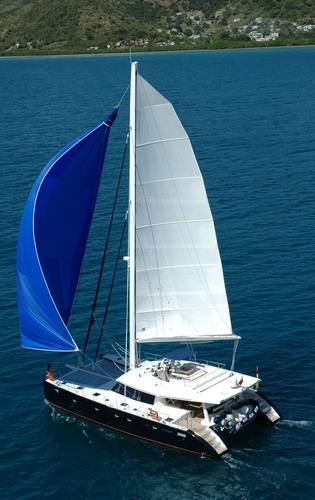 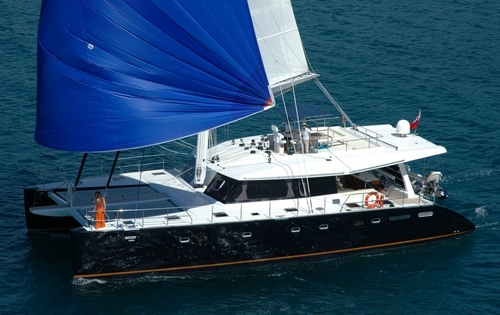 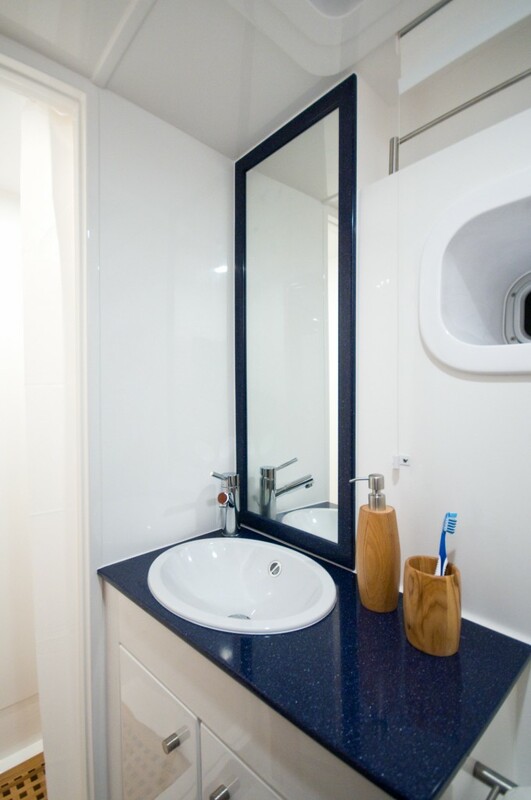 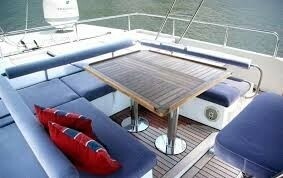 CATSY can comfortably accommodate 8 guests in four double ensuite cabins.